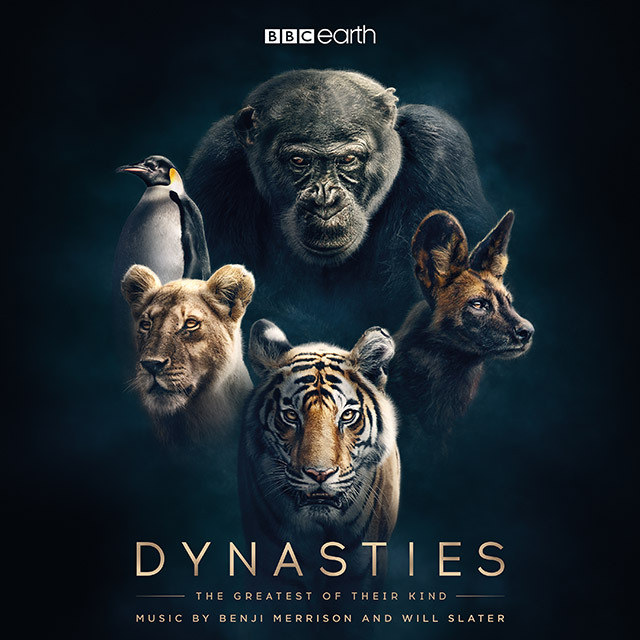 To mark the series end of Dynasties, Benji Merrison and Will Slater’s score is now available on CD as well as to stream and download (links provided below). Listen to the soundtrack to yet another compelling natural history documentary by the BBC and relive the drama, tension and emotion that a Chimpanzee, Emperor Penguin, Lion, Painted Wolf and Tiger each put us through on Sunday nights. From the parental endurance hard-fought in the extreme cold of Antarctica, to the displaced pack navigating the hidden dangers of Mana Pools, Zimbabwe.